Victorian Doll Powder Box in Jadeite, Bargain Shack offers Boyd Glass, Mosser Glass, L.G. Wright, and Contemporary Collectible Glass including Vaseline Glass - J.B. Scottie Dogs, Pooche, Animal Covered Nests, Toothpick Holders, Salts, Glass Animal Figurines, Clowns, Dolls, Slippers, Vehicles, and More! 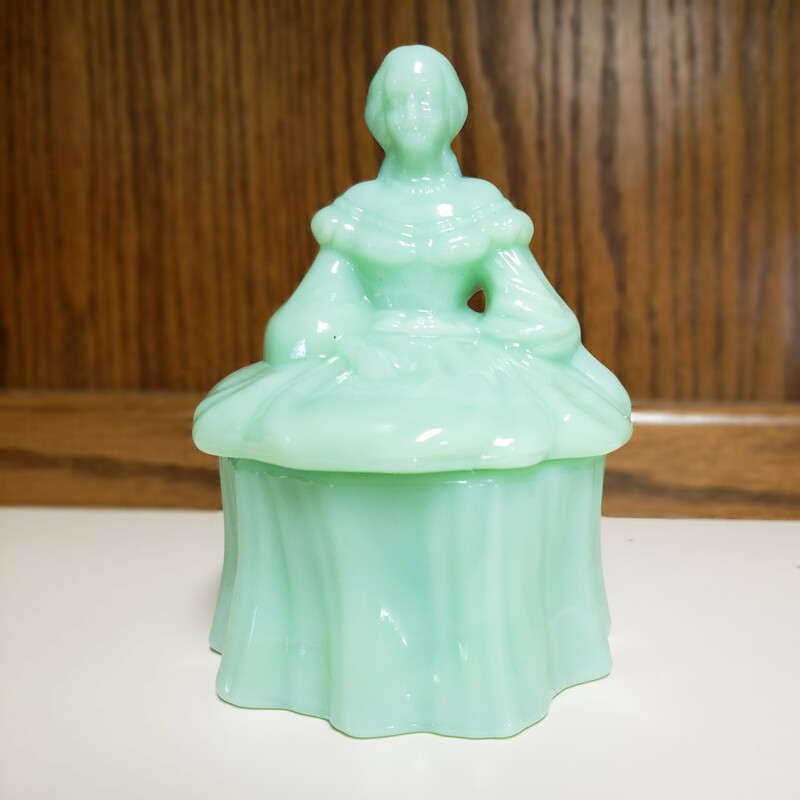 Standing 5-1/2" tall this lovely Victorian Lady in Jadeite can be used as a powder/dresser box or just a beautiful display piece. From her hands resting gracefully on her full skirt to the flowing lines of her dress this piece has wonderful detail. Doll collectors will love this piece!